Crystal is a semi-modular software synthesizer featuring both subtractive synthesis and frequency modulation (FM) synthesis. 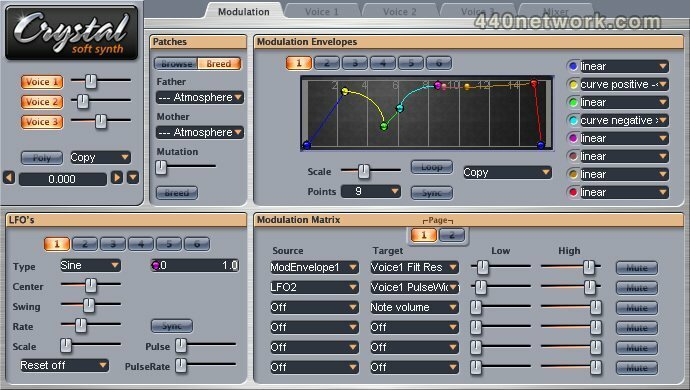 It offers abundant modulation control with over 60 parameters which may be modulated, multi-stage envelopes with graphical editors, extensive tempo sync of envelopes/lforates/delay times, built-in effects for chorus/flanging/comb filtering/echoes, and a band splitter for effects processing by frequency band. This update adds drag and drop import/export of patch banks. This new feature makes it easier than ever to add new patch banks to Crystal. Crystal goes 64 bit! With version 2.5.0, Crystal is now available as a 64 bit plugin on both Windows and OSX. The OSX installer installs both Audio Unit and VST plugins which are capable of 32 or 64 bit. The Windows download includes both 32 and 64 VST versions, so you can put the appropriate one in your plugins folder. 20 Megabyte sample ROM : you may now download and install 20 Mb of multisampled instruments for Crystal, thus making Crystal a full-featured rompler. Soundfont management enhancements : Crystal 2.4 provides hierarchical organization of your soundfonts. If you put the soundfont files in a tree of folders, that tree will be reflected in Crystal's oscillator type menu as submenus. Patch export : Crystal 2.4 offers the ability to write patches to a .fxb file from within Crystal. Insanely Good...Awesome Update...The Breeding Function! This soft-synth is capable of sounding better than a $399 commercial software. The maker of this software is VERY VERY VERY KIND AND GENEROUS: THANK YOU! 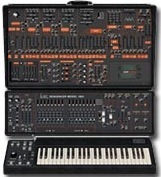 This is absolutely a great and interesting synth. Can't beleive it's free! 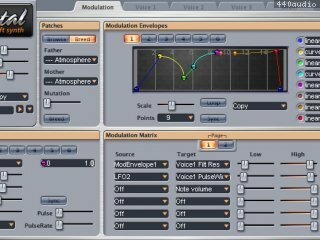 Excellent freeware softsynth - very tweakable, easy to use, and most important of all sounds good. Wealth of sound capabilities, with a little too much processor overhead. If this one won't do it, there isn't anything that will!